On June 3, the U.S. Department of Commerce updated its Strategic Sustainability Performance Plan (SSPP), an 80-page roadmap to increasing its energy and environmental stewardship. The SSPP details the department’s current progress and plans for meeting targets in 8 key areas, from reducing greenhouse gas emissions and energy consumption to increasing on-site generation of renewable energy and recycling. 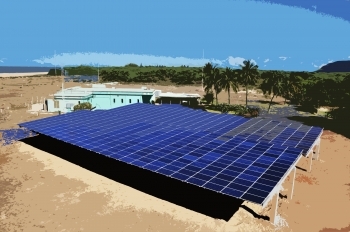 Highlights from 2010 include the completion of a 120 KW solar array to power the National Institute of Standards and Technology’s Kauai, Hawaii WWVH radio station, which is projected to save nearly $60,000 per year; the National Oceanic and Atmospheric Administration’s construction of two green buildings and plans for completion of four more; and completion of Commerce’s first ever inventory of its greenhouse gas emissions. As part of the SSPP update Secretary Locke issued the department’s first ever climate change adaptation policy, which commits Commerce to considering climate change impacts when undertaking planning, setting priorities for scientific research and investigations, and making decisions regarding its resources, programs, policies, and operations. The new policy also commits Commerce to developing and publishing a department-wide Climate Adaptation Plan by June 4, 2012, which will evaluate risks and vulnerabilities to climate change and define the department’s strategy for managing climate change impacts in both the short and long term.